Celebrity Gossip and Entertainment News: Kim Kardashian Funneling Charity Auction Proceeds to Mother's Church? Kim Kardashian Funneling Charity Auction Proceeds to Mother's Church? 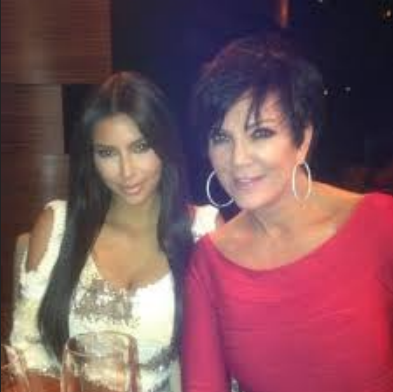 Kim Kardashian accused of funneling charity auction proceeds to Kris Jenner's Church. “Giving comes from the heart,” Kim Kardashian has said. And hers certainly isn’t hurting her bottom line. After the reality star was slammed recently for donating just 10% of proceeds from her eBay promotion to charity, RadarOnline.com has uncovered tax documents that reveal exactly how much she pads her own bank account with these “charity” auctions— and how other celebrities give much, much more. In the fine print, she revealed that only 10% of the proceeds would be a donation. And though Kardashian’s financial records are private, and the church, as a tax-exempt organization, does not keep public records, Radar has uncovered 2012 tax documents from the company that processes charitable giving on eBay, revealing how much Kardashian gave, and how much she kept to herself. According to the Paypal Charitable Giving Fund tax documents, Life Change Community Church received $19,975 after the auction. So how much did Kardashian keep? By her math, and the amount the charity received, the total amount of the sale could be roughly $399,500, making her final cut roughly $179,775, in comparison to the charity’s $19,975. But any way you do the calculations, Kardashian’s contributions pale in comparison to those received by other celebrities’ charities. That same year, Lady Gaga‘s Born This Way Foundation raised $167,754 on eBay, and Pencils of Promise raised $22,207 thanks to a charity auction by actress Sophia Bush, much like Kardashian’s clothing sales. This Madame and number one call girl have been scamming people for years. Suckers keep buying. Why as I read this damn post, Culture Club and Boy George image was conjured up singing church of the poisoned mind smh these hoebags.